Approximately 38 percent of Americans live paycheck to paycheck and are one job loss or severe illness away from falling considerably behind on their bills. If you find yourself in financial trouble and stop paying your bills, your creditors will eventually turn your debts over to collection agencies. Collection accounts deal a hard blow to your credit scores. Although paying an account in collections is admirable, doing so isn't likely to improve your credit scores. Many entries on your credit file, such as credit card or loan accounts, can have either a positive or negative effect on your credit rating. If you make timely payments, the account is positive. If you regularly miss payments or default on the debt, it has a negative effect. Collection accounts, however, are always negative. The credit bureaus won't remove a collection account just because you paid it off. Because collections are always negative entries, they have a damaging effect on your credit regardless of whether you pay them. Negative credit entries, such as collection accounts, won't stay on your credit report indefinitely. 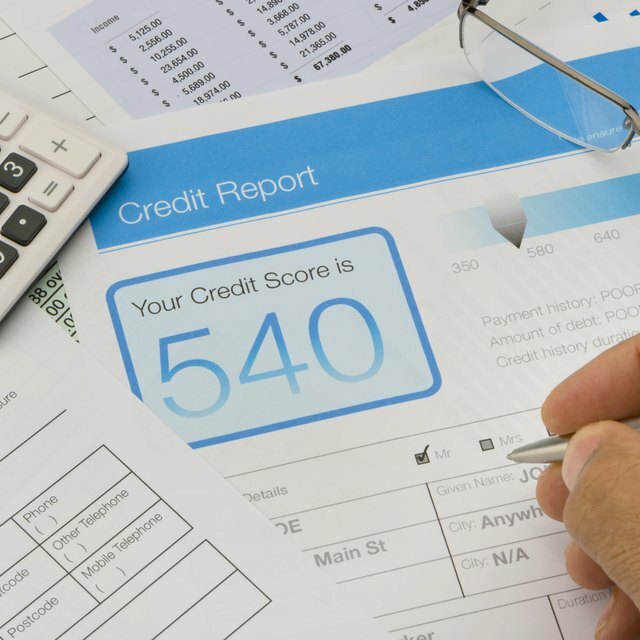 The Fair Credit Reporting Act dictates that the credit bureaus must remove these entries after seven years – regardless of whether or not you paid the debt. Once the reporting period expires, the collection agency cannot legally reinsert the item, and your credit scores will improve. The collection account isn't the only negative entry that will vanish from your credit reports after seven years. The credit bureaus will also remove the original creditor's entry that reflects your missed payments and eventual default. Credit reporting errors sometimes occur. If a collection account appears on your credit report for a debt that is not yours, you don't have to pay the debt in the hope that doing so will help your credit recover. You have the right to dispute any incorrect or dubious item on your credit report. Each credit bureau has an online system specifically for consumer disputes. If the credit bureaus cannot verify the disputed item's accuracy after a 30-day investigation, federal law requires that they remove the information from your reports. How Long Do Charged-Off Accounts Stay on Your Credit Report? Although paying off a debt in collection does not improve your credit scores, the collection agency will change its report to reflect the fact that you paid the debt. Not all creditors base your approval for credit strictly on your credit scores. If you satisfied your collection account, future creditors will see this and take it into consideration. Regardless of its impact on your scores, a paid collection always looks better to creditors than an unpaid one.